يقع فندق Holiday Inn Queenstown Frankton Road، المصمم ليناسب كل الضيوف سواء كانوا من رجال الأعمال أو السياح، في مكان ممتاز في أحد أكثر المناطق تفضيلاً في هذه المنطقة. يجذب هذا العقار ذو 4 نجوم، والذي يبعد 4.0 Km فقط عن وسط المدينة و 4.0 Km عن المطار، الكثير من الزوار سنوياً. كما يمكن الوصول بسهولة إلى عدة معالم سياحية قريبة. يقدم Holiday Inn Queenstown Frankton Road خدمات لا غبار عليها وكل أشكال اللياقة وحسن الضيافة اللازمة لإسعاد ضيوفه. يقدم الفندق فرصة للاستمتاع بشريحة واسعة من الخدمات بما فيها: واي فاي مجاني في جميع الغرف, خدمة سيارات الأجرة, مكتب الاستقبال على مدار الساعة, مرافق مخصصة لذوي الاحتياجات الخاصة, تخزين الأمتعة . ادخل إلى واحدة من الغرف 75 وتخلص من عناء نهار طويل بمساعدة مجموعة كبيرة من الخدمات كمثل تلفزيون بشاشة مسطحة, سجاد, بطانية كهربائية, بياضات, مرآة الموجودة في بعض الغرف. يقدم الفندق خدمات رائعة كمثل حوض استحمام ساخن, ساونا, مسار جولف - ضمن 3 كم, سبا, ملعب تنس لمساعدتك على الاسترخاء بعد نهار طويل من النشاط والتجوال في المدينة. 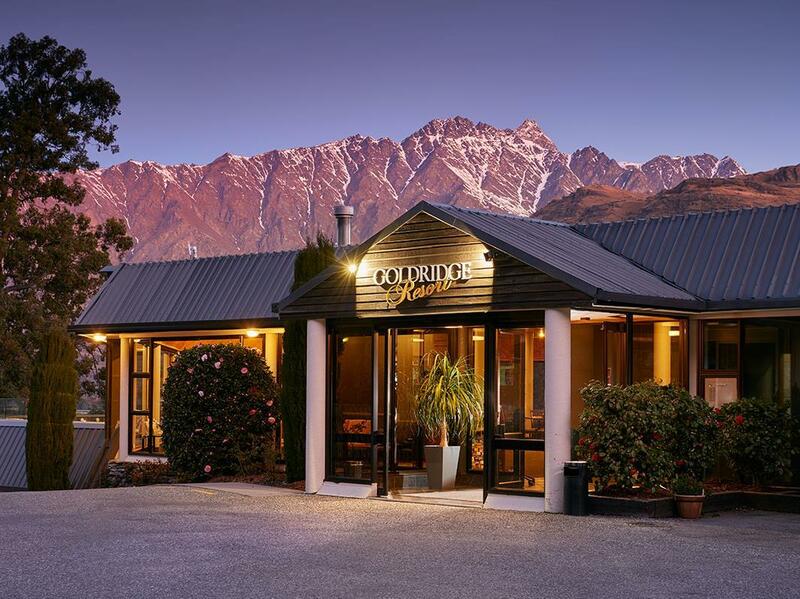 استمتع بخدمات لا يعلى عليها وعنوان ذو اعتبار في Holiday Inn Queenstown Frankton Road . I spent 3 nights at this hotel. The room is clean and quite spacious. The staff really friendly and helpful. On top of it, the view from the room is absolutely amazing. Make sure you get the lake-view room. avoid this motel. the room was dirty, i didn't feel safe in the neighborhood, and my door didn't even have a deadbolt. totally sketchy. the front desk guy was very friendly, but other than that, this place was terrible. i can't believe i paid money to stay here. don't make the same mistake. easily the worst motel i've ever stayed in. owner has done a great job with room renovations but the shower is disappointing while the fan heater is only cold air. free WiFi is 1GB for 3 days stay available for 2 devices. I presume the motel subscribed unlimited broadband from Telco. so why only 1GB. u will lose a lot of overseas travellers with this offer. Overall stay is ok but will stay somewhere else next trip if internet is so limited. Large comfortable room with beautiful open view of lake, set back from road in quiet and peaceful surroundings. Very helpful staff and good food in restaurant. The last place we stayed in New Zealand and possibly the nicest! Best to have a car here but there is a free shuttle bus to town. Underrated by other reviews in my opinion. The rooms were small and other guests walked past our room all day long. The restaurant view was beautiful, but there is little resemblance to a resort. However, we were positively surpriced to learn there was a free shuttlebus to queens town. Good hotel... cons - the room that we had was in dull color and needs a bit of decor to make more lively, no complimentary bottled water, and complimentary wifi is limited. Pros - great view of the river & Remarkable mountain, great food, friendly staff & great customer service, free shuttle service to/from town, just few minutes away from town and airport, lots of parking, and easily accessible by public transport. Goldridge suited our needs fine. It was a couple of miles outside the central city so good if you like to walk but not perfectly convenient. Be aware wifi here is limited. Booked a studio and had a very spacious room. Heater and electric blanket worked well. Loved our stay at this hotel. Room had the best views and was comfortable and clean. Only a short drive from everything . Loved how quiet it was. Staff super helpful! Value for money! Highly recommend a stay here. 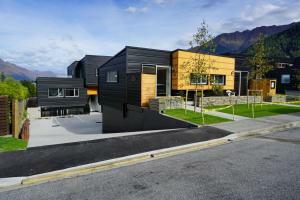 This was one of the best stays I have ever had - perhaps greatly influenced by the beauty of Queenstown. The hotel was very comfortable, the staff exceptionally friendly, and the scenery was nothing but stunning. Only drawback I can think of was the limited parking space. Great. Helpful staff. We updated to a room with a view which was lovely. Room was very clean and comfortable. Only extra to the room to make it even better would be the addition of microwave and toaster so we could have breakfast in the room. Other than that we would highly recommend staying at Goldrige Resort. This was a reasonably large room for two friends to stay in. The view from the balcony was gorgeous, and it was quite a warm room as well. Very comfortable, with free Wi-Fi. Only downside would be that it was a little hard to actually get around to our room via car, but I would definitely stay there again! Stayed in the Lakeview Superior room for three nights . The view out from our balcony is stunning and the room has everything to keep you warm. The staff are friendly and there are free shuttle to go to the town centre. Breakfast was average but the view while having breakfast is nice. I was unable to stay at the conference venue as I booked late. Luckily I got to stay at Goodridge. The staff were amazing. I tripped over and injured my ankle and the staff were so kind to me it was amazing. The young lady kept checking I was all right, went to the pharmacy and got me some pain killers and then when I needed to leave she kindly drove me to the airport. Before that the concierge lent me a phone charger which was really kind too. The atmosphere was really nice . It was so much better to stay here than a hotel chain. we was back here for our second times but this times was a bit disapoinment which try to checking 3 times until they will be able to clean the room and let us in almost 3 pm very poor service , I know is busy season but it not nice for guest to waiting. Our stay was very comfortable and pleasant . Hotel is 10 min drive to main city centre but still at great location with nice lake views. The staff was very helpful in arranging activities for us on short notice. A comfortable 2-night stay at this hotel but note that the free wifi description is misleading. It is free only for the first 30 mins each day. If you need more, you need to pay. Should be more open about this. Price. Location lakeside between Frankton and Queenstown. Balcony view of the Remarkables and Lake Wakatipu. Big clean comfortable living room and clean bathroom with plenty of hot water. We would stay there again because it is value for moneyand located in an idealposition, however, there is no cable TV (only 4 channels in the room) and no cable Internet. The prepaid Wifi Internet connection is pathetic. Great resort. Spa, sauna very relaxing to use. Great scenery with lake view. excellent staff - friendly and helpful free shuttle service. free internet for half hour each day. good prices at restaurant. Good walk into downtown area for those who like sight seeing along the lake and want a bit of fitness otherwise use the shuttle service. Shuttle service only operates in morning and evening. Close to airport. I arrived early and my room wasn't ready. I asked for advice of where to go and had a brilliant afternoon at a local village - I was advised well! On return, I went to my room which had sliding glass windows to look out at the lake and mountains - magic! The location for going out and driving back after a couple of drinks, is not so good, but the in-house restaurant was superb. Again, very helpful friendly staff to look after you. I'd not normally stay at a resort hotel, but this did not feel like one.